We are always looking at new products and innovative ideas to improve or enhance hair care. 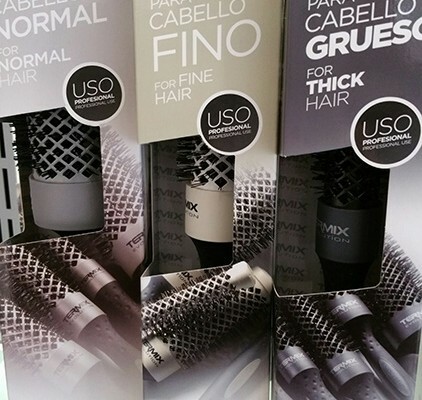 This month we have introduced two new brush products to the salon. A new hairbrush range, specifically for different hair types, in three different sizes and a new AirMotion brush for de-tangling and a step up from the normal variety with an added handle for ease of use and a promise to easily get rid of any tangles in any hair type. They are all really good value too! 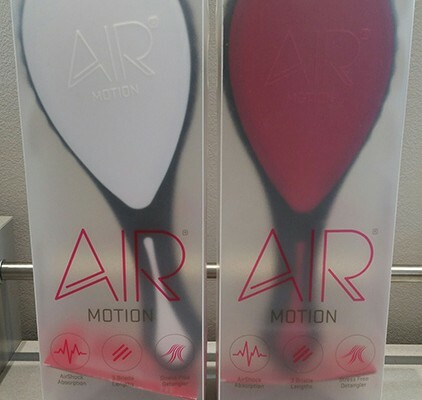 The Air motion de-tangling brush, is British designed with patent pending, a built in Airshock technology providing an unsurpassed contour sensitive experience. 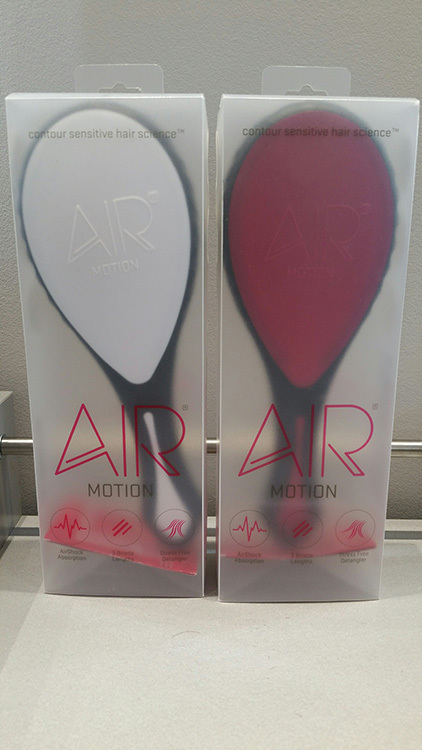 A combination of this and a unique Tri-bristle configuration AirMotion is the most advanced de-tangling brush available on the market today. 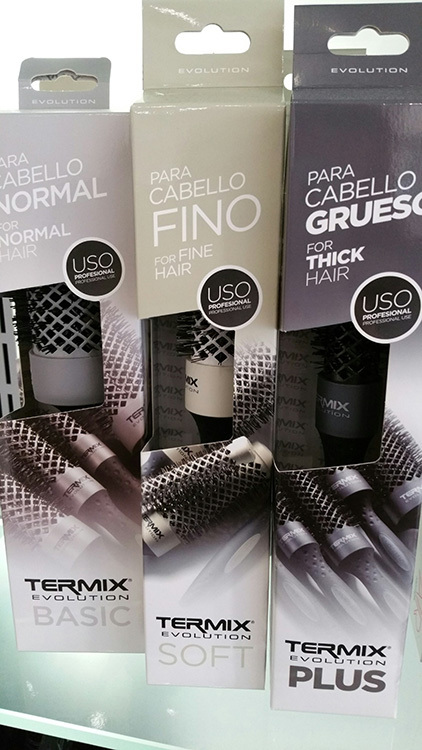 Termix brushes are a brand new blow drying system, the latest high performance round blow drying brushes come in 4 different sizes. 23mm 28mm 32mm and 43mm and are for 3 different hair types, thick, normal and fine hair. The ionized bristles for thick and difficult to manage hair, helps control and style this type of hair due to the density of the nylon fibres. The bristles are more resistant to heat than other brushes therefore reducing the loading force that occurs with drying thick hair. They have large diamond shaped vents that decrease drying time by 30%. They are temperature resistant up to 300%. Plus the design of the handle is easy to use and grips very well. The normal hair range, has been developed to control dehydration problems presented by this type of hair by combining the design of the tube and the amount and specific thickness of the ionized nylon. The thin hair range has been designed to minimise damage and hair breakage and deterioration of the hair shaft, due to its cross-system of ionized nylon bristles of thin diameter and beige coloured microfilaments. This allows for a better grip and providing an effect of increased capillary density.